There are many kinds of scars. They can result from acne, infection, injury or surgery. Many different things cause trauma to the skin, ranging from injuries and accidents to skin conditions such as acne and eczema. Acne, birth marks, and facial injuries can leave our skin looking a little rough. Finally the zits have gone away, but the scars left are no fun either. Scars are natural, and they are your body’s way of healing after an injury. But scars on your body can be totally embarrassing — especially if they are on your face or on easy-to-see surfaces like your hands. There are many beauty products that claim to reduce scarring, but these products can be expensive and usually contain a lot of chemicals. Luckily, there are so many natural ways to reduce scarring on your own for half the cost! By using these products you can safely reduce scarring, while not hurting your skin. The alpha hydroxy acids (AHA) content of lemon juice has remarkable rejuvenation potential that is helpful in replacing dead, damaged skin cells by new cells that helps in returning normal appearance of skin. In addition, lemon juice also acts as a mild exfoliative agent that helps in the process of regeneration and the bleaching action promotes lightening of acne scars. Apply lemon juice on the scarred area twice a day, by means of a cotton pad. 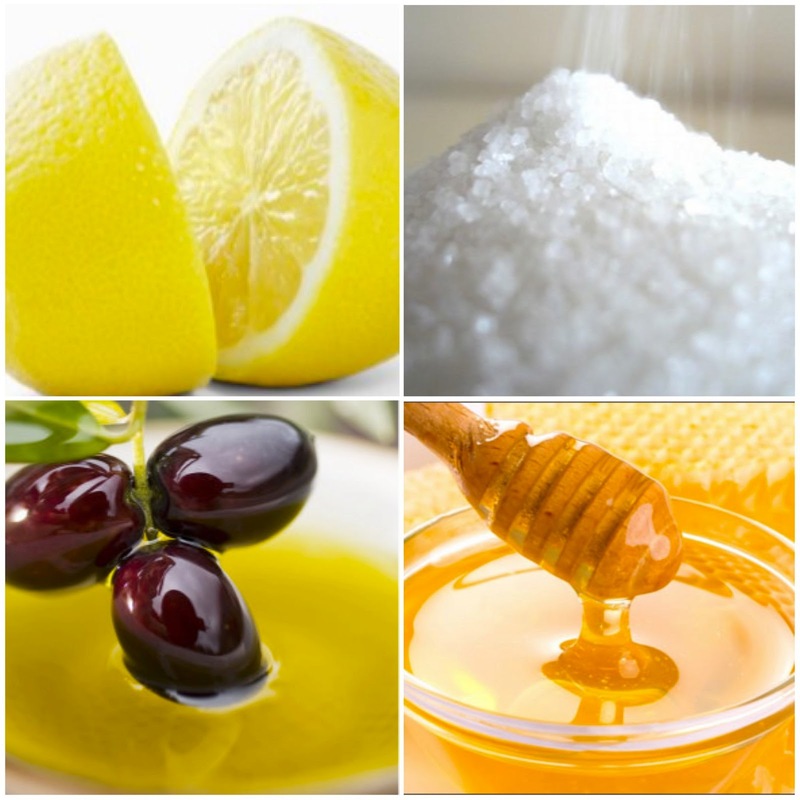 Alternatively, you can cut a fresh lemon and rub this on your skin, twice a day. Cocoa butter is a natural skin healer. Apply the butter on your scars twice a day and massage it into the skin, until the skin completely absorbs it. Honey is one of the oldest remedies to heal wounds and burns, due to its healing properties. Since it has anti-bacterial properties, it can also help you remove stubborn scars in a few months, if applied twice daily. Mix the honey with baking soda (1 tea spoon of honey with 1 teaspoon of baking soda) and massage your face for 3 to 4 minutes, especially concentrating on the scars. You can use a warm washcloth to provide deeper penetration and action. Once the washcloth has cooled down you can use it to wipe the honey and baking soda mask from your face. Additionally you can prepare an excellent exfoliative mask by doubling the amount of baking soda (2 teaspoon of baking soda in one teaspoon of honey). Mix sandalwood and powdered black gram with rose water and make a smooth paste of it. Apply the paste on the scarred skin and leave it on overnight. Wash off the next morning with cool water. 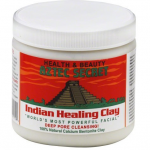 This helps in improving skin tone and reducing scars. 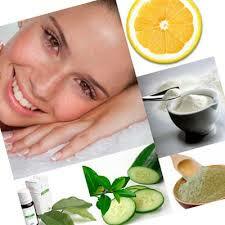 Application of cucumber juice on scars will tighten pores, thereby improving skin tone and reducing the marks. Aloe Vera is one of the best remedies to get rid of scars naturally. Application of this, twice a day, will give you noticeable results within a few days. Make a paste of raw garlic and rub this into your skin. It is a healer and also a skin toner. Massaging vitamin E oil onto the scars will help them vanish within a few weeks. In the absence of vitamin E oils, capsules can also be used. The oil in them can be squeezed out and applied on the scars. Crushed mint leaves can be applied to scars, to help the skin heal faster. Fresh tomato juice is an excellent skin rejuvenating agent and can help the skin heal faster. Mix a little baking soda with water and massage the scarred skin with this, for at least a minute. Rinse the skin with lukewarm water and apply a very light coat of olive oil. Wash off with warm water after five minutes. Doing this once daily will help remove scars sooner than you can imagine. Make a paste of fenugreek seeds and rose water and apply this as a face pack. Wash off after fifteen minutes, for great results. Mash a ripe banana thoroughly and apply on your skin for ten minutes. Wash off with cold water, for getting well-toned skin. Grate a potato and wrap it in soft, thin linen. Wait for the juice of the grated potato to start coming through the linen. Rub this over the scarred skin, leave for ten minutes and then wash it off with warm water. Potato is one of the most available home remedy that has the ability to lighten pimple scars giving you a spotless face. It contains enzymes that work well in eliminating the scars from skin. Cut thick pieces of potato and massage it to your skin. Now keep fresh pieces to scars for 15 minutes and then wash your face. 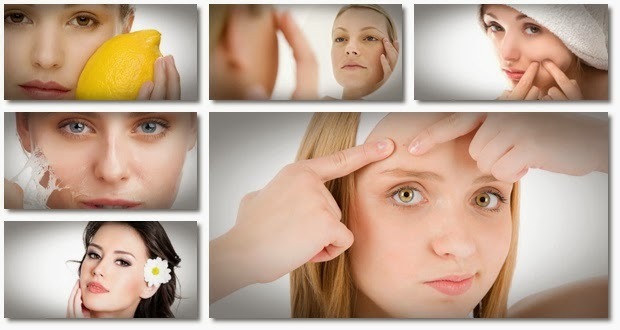 This therapy helps in removing dark circles, dark spots and marks from skin. 1. Lavendar oil. Apply and massage directly on scars to help fade. In time, it can completely eliminate them. 2. Flaxseed oil. You can buy this oil at almost any health food store. Rub the flaxseed oil on old and new scars a few times each day, including after you shower and again before going to bed. 3. Grapeseed extract, jojoba and almond oil are all effective scar treatments, especially when combined together. To use grape seed extract on your face, you need to make a mixture specifically for your face. For this, jojoba oil is best because it is the ingredient that’s closest to the oils your body makes on its own! Combine 2 ounces of jojoba oil with 20 drops of grape seed extract in a small glass bottle and gently shake the mixture to combine the ingredients before each use. Hands, feet, arms and legs are prone to scars from accidents, but they can occur in other places as well. To make a mixture that contains grape seed extract to get rid of scars on your body, you can use heavier carrier oil because you don’t have to worry about breakouts as much on your body — the skin on your body is less susceptible than on your face. Combine 2 ounces of almond or safflower oil in a small glass bottle with 25 drops of grape seed extract. Shake the mixture gently before each application. 4. Vitamin K. Apply as a cream topically to scars. Depending on the severity of your scars and skin type, you may see results in as little as a couple of weeks to a couple of months when used twice daily. 5. Olive oil. Apply 100% extra virgin) to scars at least twice a day. Within a week you should start to see scars and stretch marks starting to fade. 6. Organic raw honey (especially high UMF factor manuka honey). Rub onto scars twice daily. The antibacterial properties in honey can help heal wounds and promote skin cell growth. With constant use, scars should fade. Using honey is not recommended if you have oily skin. 7. Castor oil. Use with a plastic wrap and a heating pad. Note: Be sure to use only food grade plastic wrap that contains no bisphenol A, a dangerous substance found in many plastics. Rub plenty of castor oil on the scars and then wrap it with plastic wrap. Place a heating pad turned on as high a setting as you comfortably stand and leave on for 20 to 25 minutes. You may see noticeable results in as little as a week or so. 8. Vitamin E. Use oil from punctured gel caps and rub it into scars. 9. Rosehip. Rosehip tea has been used for centuries as a restorative and a home remedy. Rosehip oils and ointments were also used to soothe irritated skin, especially mouth sores. Rose hips are full of vitamins, but they have no particular properties that make them especially effective in treating or healing scars.The key to natural lessening and elimination of scar tissue is persistence. Serious scars may take up to several months, but with persistent and consistent effort you should eventually see good results. Rose hips are very high in vitamin C, which helps your body make collagen. Most of the connective tissues in your body are made of collagen. It helps your skin renew itself, and it is necessary for healing. Taking in enough vitamin C may help keep your skin healthy, but it won’t magically prevent or heal scars. Any steeped beverage that is not made from the camellia sinensis, or tea, plant is called a tisane. Make a rosehip tisane by drying rose hips in the oven or a dehydrator, grinding them and letting them steep in boiling water for six minutes. Smooth pure rosehip ointment onto scars to help keep them supple and to give them a little external boost of vitamin C.
10.Geranium Oil. Geranium oil is known to be beneficial for treating scars for several reasons. First, the oil has cytophylactic properties, which cause the regeneration of new cells and the expulsion of dead cells. Geranium oil also has cicatrisant properties, which help with the circulation of blood. Simply drop about five drops of geranium oil into a small container — about two ounces in size — stir, and then lightly rub the cream on your scar daily. Get a small 4-ounce spray bottle and drop in about three or four drops of geranium oil and five or six drops of jojoba oil. Then, fill the rest of the bottle with purified water and spray it on your skin on a daily basis. 11. Zinc is an immune-boosting mineral found in foods such as meats, cheeses and legumes. Its history of use for healing wounds dates to ancient times, but its modern-day effectiveness for reducing scars is still being studied. The zinc cream’s instructions will tell you how much cream and how often to apply it. One thing it might not tell you is this: Massaging your scar makes a difference. Don’t just rub the cream on. Massage the cream in little circles for 15 to 30 seconds to soften the scar. That massage not only feels good after a stressful day, but it keeps dense bands of collagen from forming and thickening the skin. 12. Coconut oil is made by pressing the meat of a ripe coconut. In many parts of the world, including Africa, coconut oil is a staple of the local diet as well as being used as a beauty treatment and a topical remedy. Coconut oil is high in saturated fat, which makes it as iffy for your diet as it is spiffy for skin care. Coconut oil cream contains coconut oil along with emulsifiers and fragrance. Use coconut oil cream before a scar forms. Treating a cut or burn the instant the wound happens is the best way to lessen or prevent a scar. Clean the area thoroughly and pat it dry with a clean paper or cloth towel. Smooth on enough coconut oil cream to cover the area in a thin layer. Reapply it two to three times per day. Remove the seeds from the center and blend 3- 4 cucumbers with few mint leaves and one teaspoon of lemon juice. In a separate bowl crack an egg and beat thoroughly. Take out the contents in a jar and add the egg. Shake gently and apply the mixture on your face. You will feel noticeable difference in the appearance of your scars. Take a small bowl and add 4 to 5 drops of lemon juice, ½ tsp of turmeric and 1 tsp of yogurt. Mix the ingredients gently and apply on scars. Remove it after 10 minutes. You will feel significant difference in a few days. Onion juice has anti-inflammatory properties and also serves to stimulate the collagen production from the skin that acts as a filling agent. Due to skincare functions of onion juice, various manufacturers sell onion jells that can be used effectively on the scars for maximal relief. Onion juice or gel works slowly and may take months to produce noticeable effects (so you may have to be very patient with this remedy). Papaya face mask can be used for getting rid of oils and dirt and for rubbing scars and dark spots from skin. Papain enzyme in papaya is a powerful skin cleaning and lightening agent. Mix orange juice to papaya and apply it to your face for 30 minutes. If you have darker skin tones, you might be at risk for keloid scars, a type of rounded scar with a pink or purple color, and also brownish-black spots called hyperpigmentation marks. To help lighten these areas, Dr. Brian Berman, professor of dermatology at the University of Miami, recommends a product containing hydroquinone such as Ambi Fade Cream. It’s suitable for the face or body and has formulas for both normal and oily skin that can make a noticeable difference in as little as two weeks. Dr. Minas Chrysopoulo, a nationally recognized breast reconstruction surgeon, developed InviCible Scars to help reduce the scarring from advanced reconstructive surgery. The cream contains silicone to moisturize scar tissue and minimize its appearance; aloe vera to fight inflammation; sunflower oil extracts to increase elasticity; and licorice and vitamin C to reduce hyperpigmentation. “Allure” magazine named it one of their “best” picks, noting that it’s not often that a scar treatment gets a thumbs-up from top dermatologists. Mederma Scar Gel is made from onion bulb extracts that soften and smooth skin and help reduce redness of your scars. Being a gel means it blends in under your makeup, so you can wear it during the day. “Allure” magazine made it a top pick for its ability to reduce the appearance of scars by softening hardened tissue and improving your skin’s texture and color. “Ladies’ Home Journal” also reviewed it favorably, but added that you’ll need to be patient, because visible results can take awhile to show up. Scar Fade is a silicone gel you rub in daily onto the scar area to keep your scars from making too much collagen, so they’ll become flatter. It’s particularly helpful if you have an enlarged scar that’s raised, firm and red, called a hypertrophic scar. Scar Fade works on both old and new scars, but “Real Simple” magazine cautions you’ll need to be faithful in applying the product consistently for several months to see the difference. Another good silicone product is Scar FX Silicone Sheeting, profiled by “Ladies Home Journal.” It uses an adhesive to attach to your skin and can stay in place for hours. The large strips make it a good choice for particularly large areas of scars. It’s said to have an 80 percent success rate, although Dr. Tina Alster, director of the Washington Institute of Dermatologic Laser Surgery, says that combining silicone sheets with a cortisone product like Scarguard MD liquid might be more effective than either one alone. The one downside: silicone sheets might make your skin a little itchy.